Welcome, Future of the Profession of PT! The OPTA recognizes that as a student of physical therapy, your interests and passions are critical to keeping our organization vibrant and engaged. YOU are the future. Tomorrow's OPTA will be shaped by you. Your voice is important, and your perspective is needed. Your contributions – big and small – are appreciated. Network at the Annual and Fall business meetings. Attend an OPTA community outreach event. Meet for coffee with a committee member to talk about your passions. Congratulations to Tabitha Galindo, SPT, the 2019 recipient of the Mary McMillan Scholarship award for Student Physical Therapists! Read more about Tabitha and her award here. The mission statement of the Student Leadership Committee (SLC) of the Oregon Physical Therapy Association is to grow a thriving community of recent graduates (<5 years) and current PT and PTA students. We aim to promote student involvement and provide a unified voice in APTA and OPTA in order to express views and concerns of students and recent graduates. We strive to foster a collaborative relationship between students and licensed clinicians to promote professional excellence both pre- and post-graduation. Physical Therapy Association. This award gives students first-hand experience in the governance of our profession at the state and national levels. current issues, and prepare for the House itself. This year, the House of Delegates will be held from June 10-12, 2019 in Chicago, IL. Awardees are highly encouraged to apply to be House ushers. This is a great way to meet students from other components and play an active role in the business of the House. Student leaders are also welcome and encouraged to attend other OPTA meetings and events of interest, including board of directors meetings, business meetings, strategic planning sessions, government affairs committee meetings, and of course PT Night Out! In the end, the experiences that students gain through the Emerging Student Leader Award help lay the groundwork for rewarding professional experiences for the rest of their careers. The award provides excellent networking opportunities, allowing students to find mentors who can help accelerate their career development. Many members of the current OPTA Board of Directors and House Delegation participated in similar opportunities as students and find that those experiences were invaluable in their own professional and leadership development. Most of all, it’s fun! 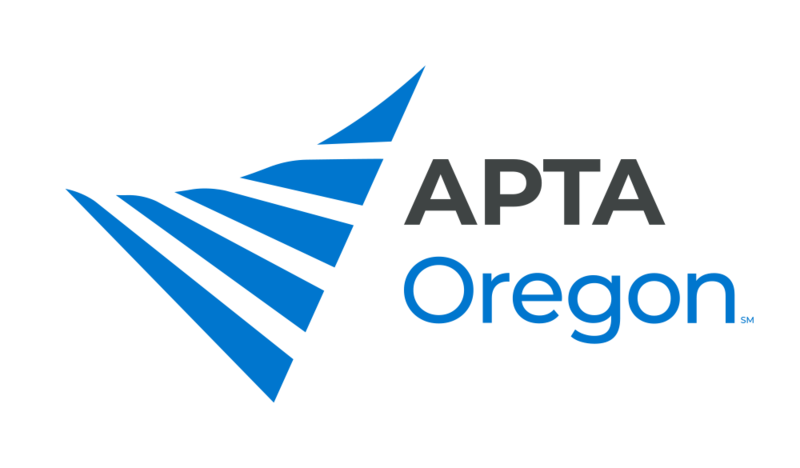 First year PTA students and second year PT students who are American Physical Therapy Association and Oregon Physical Therapy Association members are eligible to apply for the award. OPTA will provide reimbursement for travel expenses up to $1000 to attend the APTA House of Delegates. An additional $500 is available for the PT student to attend the National Student Conclave. This award may not fully cover the cost of attending these conferences. The student’s school may provide additional funds. recommendation should be completed by two persons not related to the candidate, and one recommendation must come from a faculty member of the program in which the student is enrolled. The Oregon delegation will select the most qualified candidate. The delegation may seek additional feedback and recommendations from the schools’ program directors. The selected student will be notified directly. Congratulations to the 2019 OPTA Emerging Student Leader Award Recipients! Any of these opportunities (and many more) can be initiated through a quick email to [email protected].